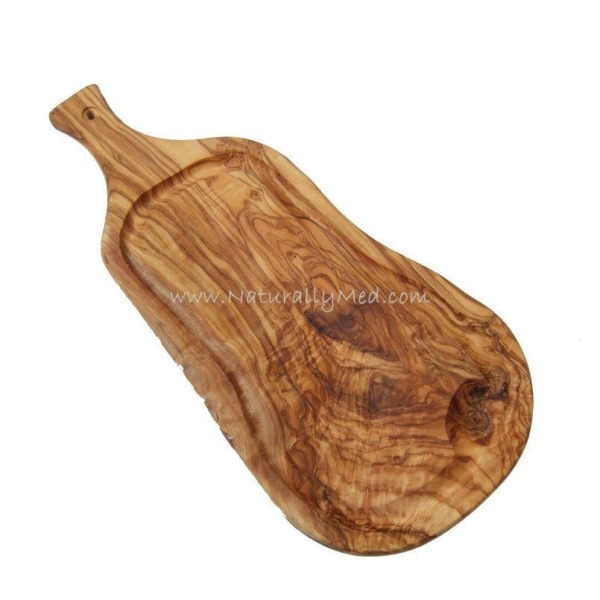 A truly stunning olive wood carving board, with a groove around the edge to catch the juices! Hand-crafted from olive wood these boards are beautiful as well as practical. 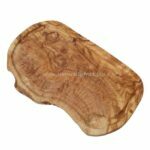 These hand-made boards are carved out of a single piece of wood so are rare as well as being unique and durable. Each board's shape and size varies therefore each one is unique. The length stated includes the handle. Thickness of the boards is approx 0.8″. Use these olive wood boards as meat boards, serving / presentation boards, steak boards or cutting boards. 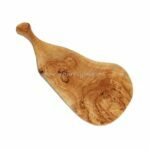 Naturally Med's olive wood boards are always made from a single piece of olive wood, never joined or glued pieces.